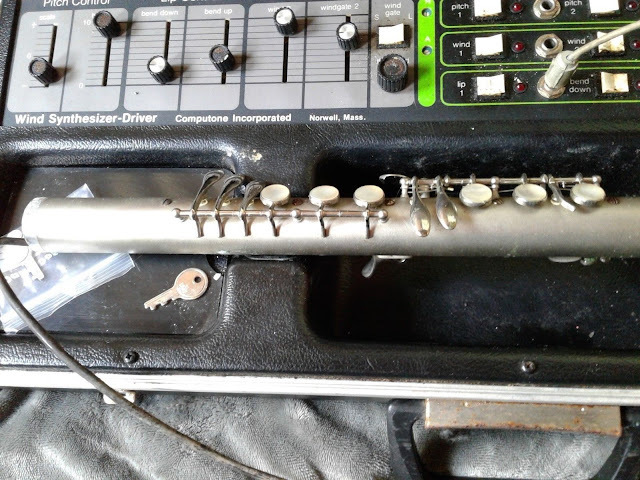 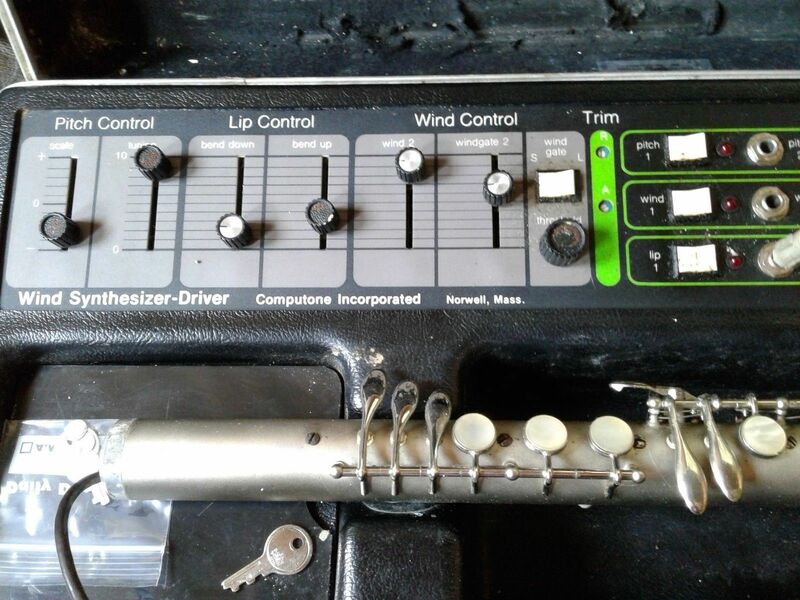 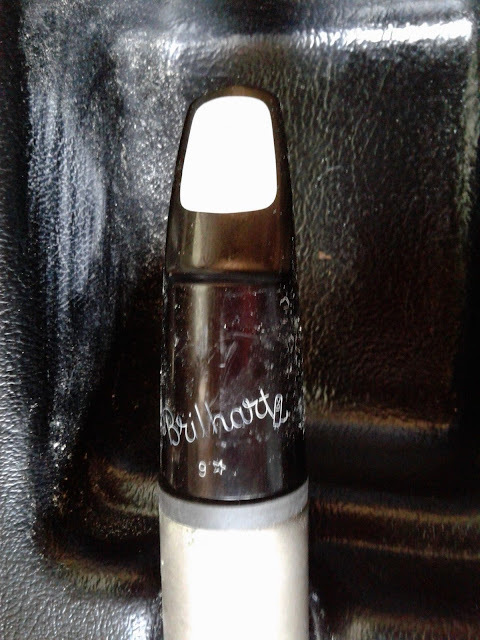 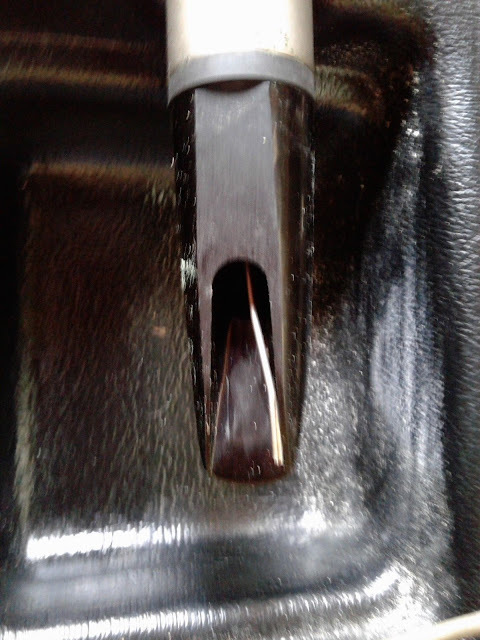 "This vintage Lyricon and Brlhart 9* mouthpiece, was purchased, by us slightly used, in December of 1988, and was only played, when we purchased it, by the seller (Jack Klitzman, from Seattle Washington) for a short time, we loved it's different sound - since that day, it has not been played, just stored with Ron's, 1,500 +, oddball woodwind collectibles, along with it's purchase, also included the Obernein unit. 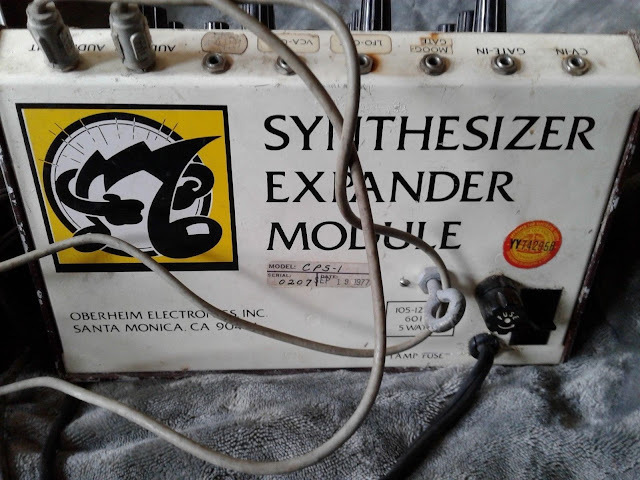 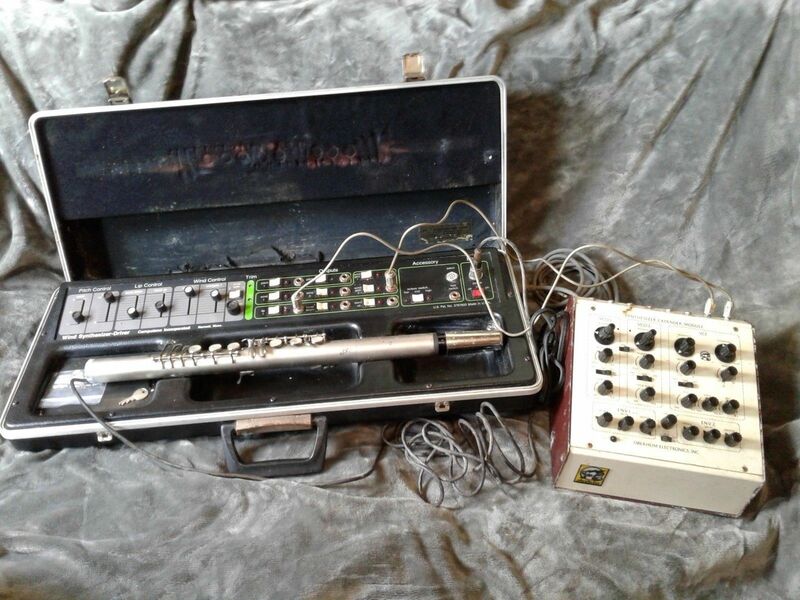 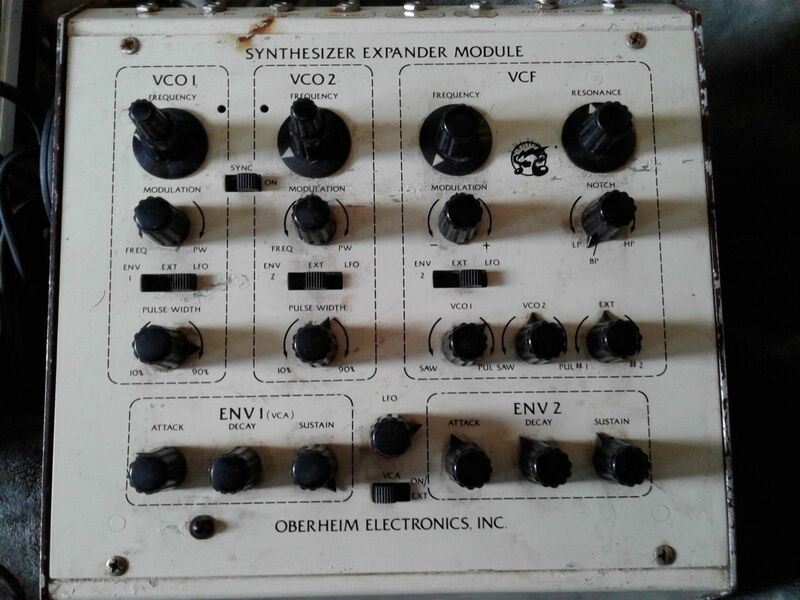 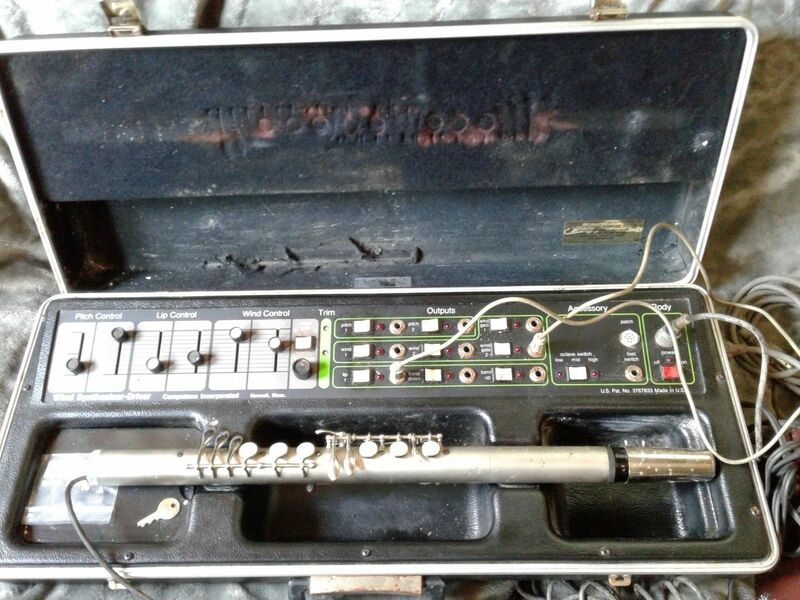 We are not an expert or knowledgeable about electronic (woodwinds yes, electronics, no), so we didn't try anything out - it did work when purchased, 30 years ago. 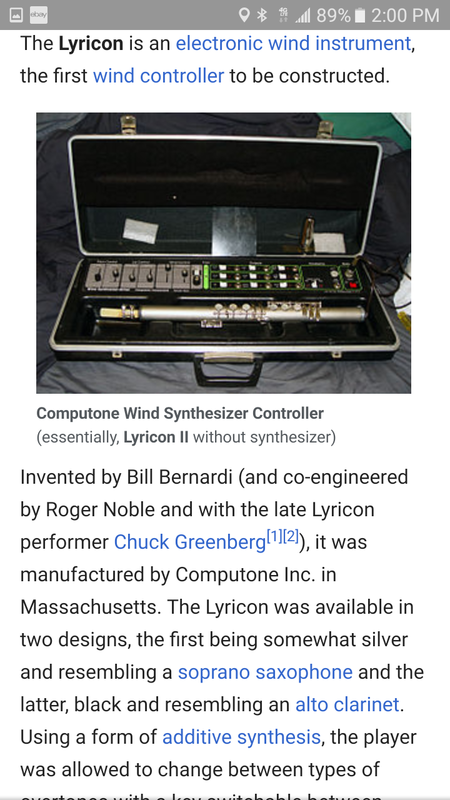 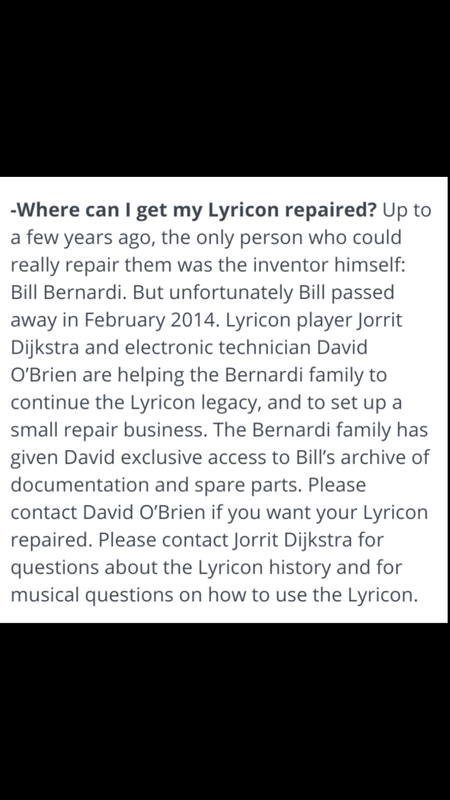 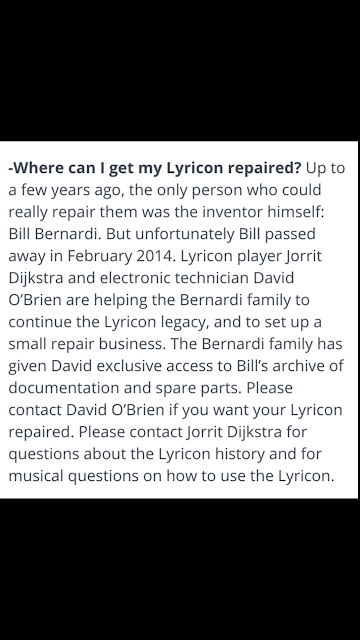 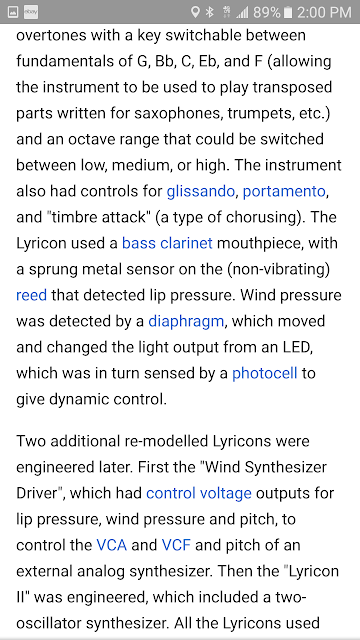 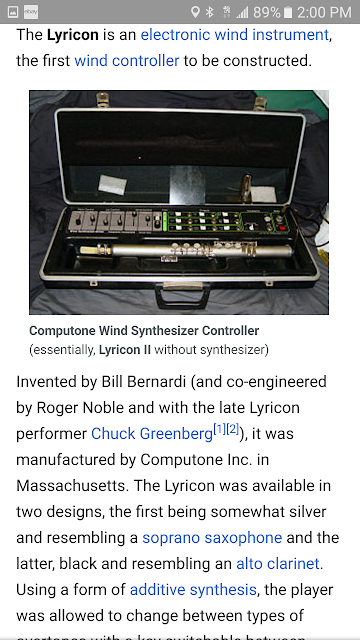 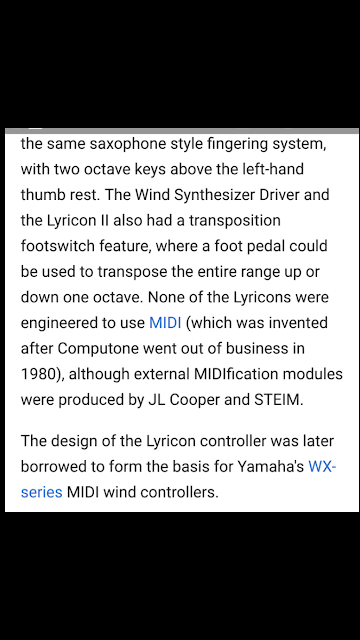 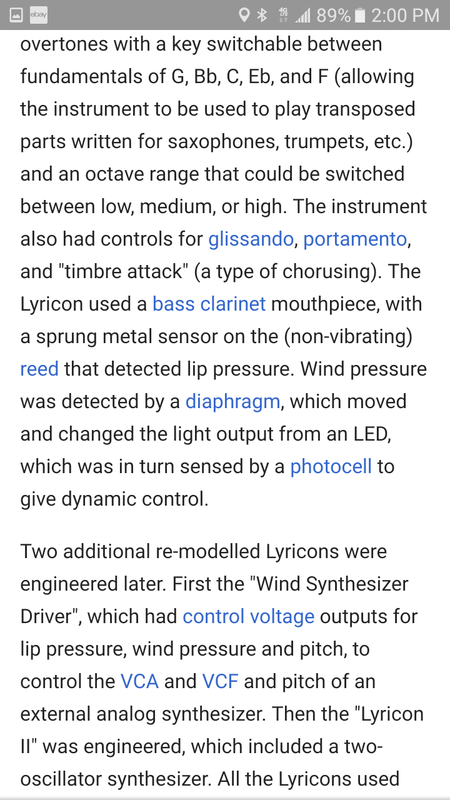 The last 4 "pictures" explains the Lyricons history and how this instrument came about, the very last picture, is about the guy who knows all about these units, he purchased all parts and services the Lyricon units now"